After Warsaw, Indiana, "The Bachelor" narrowed the group down to his final four. In every season of the show, the Hometown dates are almost always the best. These dates give a deeper insight into the contestants and where they come from. For the viewers it always shows the front-runner and usually provides plenty of drama to watch. The hometown dates are always more intense when there are children involved. Amanda gave Ben the opportunity to meet her children who are absolutely adorable. They all played on the beach and had fun, but like most toddlers Charlie and Kinsley got tired and there were tears. This accurately showed Ben what it was like being with two toddlers. Overall, Amanda's family was great and the main aspect was the children because they are her life. Lauren's home was the all-American classic family. Her family was equally protective and welcoming. Lauren's sister placed her so highly in a process that people can become desperate to get a man. This caused Ben to step up and share his feelings to her sister and he even choked up. This was the most successful family date. Caila's hometown date was full of fun and focused on her Filipino background. Ben and Caila went to her father's toy factory and built their own toy house. This was an unusual activity for a hometown, so it was interesting to see them as such a playful couple. Both of her parents liked Ben and it was an overall successful date. Texas was big hair do not care and enough drama to scare. JoJo's hometown date started with a creepy love letter and flowers from her ex-boyfriend that cheated on her and treated her poorly. As if that was not enough of an obstacle for Ben and JoJo to overcome, her brothers were the most protected people on the show ever. 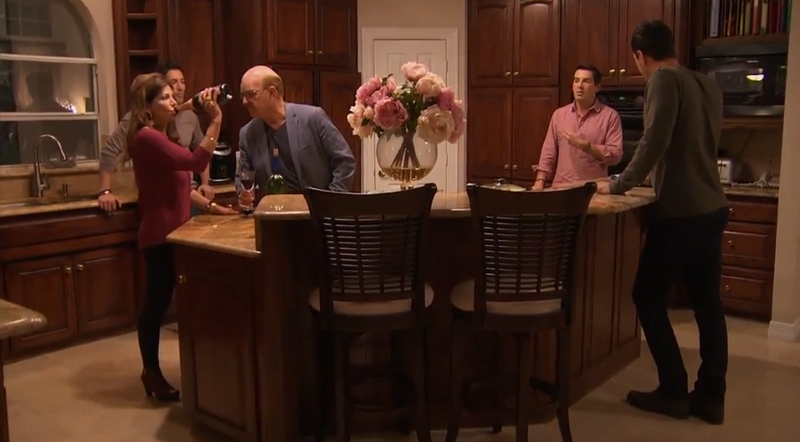 They were unsure of the process and harsh to Ben, but my favorite part of the entire episode was JoJo's mom drinking straight from the wine bottle.